other forms of “radical” activism? This talk will discuss key aspects of these new laws and how they are being challenged. 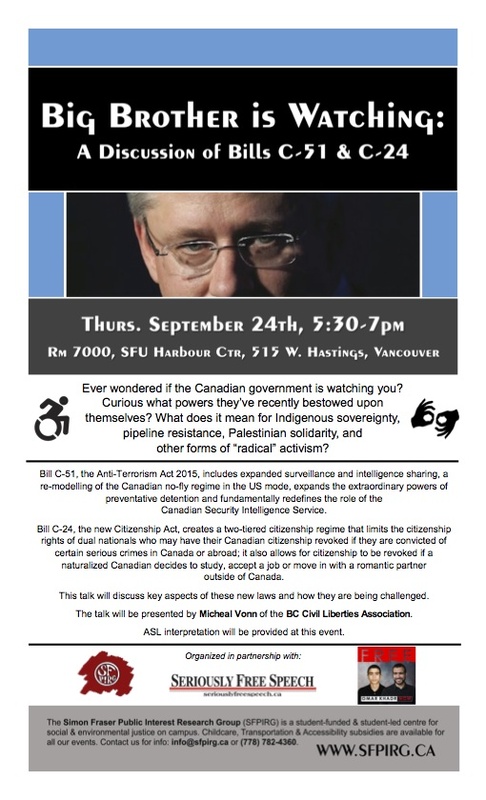 The talk will be presented by Micheal Vonn of the BC Civil Liberties Association. ASL interpretation will be provided at this event. This entry was posted in SFSC and tagged C51, campus, SFSC Event. Bookmark the permalink.